Adolescent deliberate self-harm (DSH) has been found to be associated with a range of bio-psycho-social factors. Simultaneous investigations of these factors enable more robust estimation of the independent effect of a specific risk factor by adjusting for a more complete set of covariates. However, few studies have had the ability to examine all of these factors together. This study used the linkage of population-level de-identified data collections from government agencies to investigate a range of biological, psychological, and social risk factors and their effects on adolescent risk of DSH (with or without suicidal intent). The investigation was undertaken by progressively adjusting for plausible covariates, including fetal growth status and birth order, early familial social factors, parental hospital admissions due to psychiatric disorders or DSH, and parental all-cause death. Conditional logistic regression was used for data analysis. 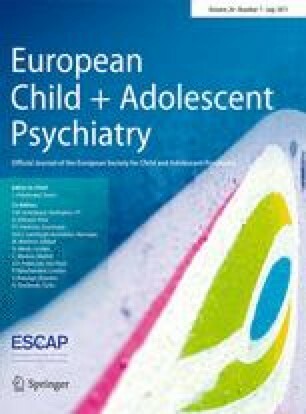 Children’s psychiatric history was analysed to examine the extent to which it may account for the link between the risk factors and adolescent DSH risk. This study identified significant biological and perinatal social risk factors for adolescent DSH risk, including overdue birth, high birth order (≥2), single or teen/young motherhood, high neighbourhood socioeconomic disadvantage, and parental psychiatric and/or DSH-related hospital admissions. Further, parental psychiatric and/or DSH-related admissions, and children’s psychiatric admissions in particular, largely attenuated the effects of the perinatal social risk factors but not the biological factors on adolescent DSH risk. These results highlight the importance of taking joint actions involving both health and social services in the prevention of adolescent DSH. We acknowledge the partnership of the Western Australian Government Department of Health, who provided support as well as data for this project. This article does not necessarily reflect the views of the government department. This study was supported by the Australian Research Council Linkage Project Grant (LP100200507). We acknowledge Peter Jacoby, M.Sc., who is a biostatistician from Telethon Kids Institute for his statistical advice. This study was approved by the Human Research Ethics Committee of the Department of Health in Western Australia and the University of Western Australia Human Research Ethics Office. Because the complete datasets include records for both Aboriginal and non-Aboriginal people, this study has also been approved by the Western Australian Aboriginal Health Ethics Committee. However, this study only focused on non-Aboriginal people and it is the first study carried out using the dataset. This study was supported by the Australian Research Council Linkage Project Grant (LP100200507). The funders had no role in the study design, data collection, analysis, data interpretation, or writing of the report. On behalf of all authors, the corresponding author states that there is no conflict of interest.